Tunnels for Railways, Highways, Sewerage projects. Cement, Thermal Power, Oil Refinery, Highways and other major project. Hydro-electric, Pumped Storage, Pipeline, Irrigation Projects. 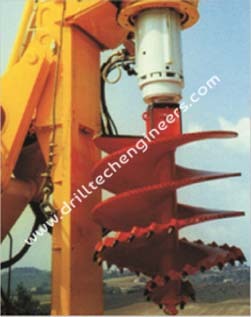 Full-face cutting tool for compact highly cohesive rock suitable for drilling. 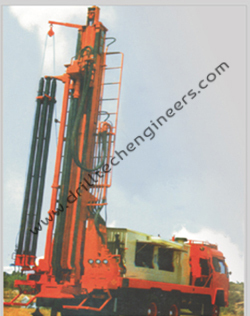 It is basicly used for drilling in Hard Rock. •	Bentonite powder is mixed with water in required concentration in a big tank. Specific Gravity @ 1.02 with Mixer / Agitator. 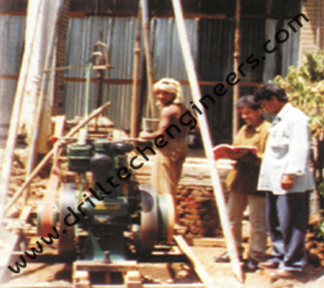 •	This mixture is pumped in the bore while Drilling. Vertical Mud pump and is sent to De-sander where the sand is removed from it. powder is mixed with water in required concentration in a big tank. Specific Gravity @ 1.02 with Mixer / Agitator. •	Mix is sent back to the tank. Bentonite Powder in required quantity is added to the mix to maintain level of concentration before reusing it while boring. •	Bentonite particles are very fine & light which percolate fast in the earth & block the natural streams of water, hence it is considered environmentally hazardous especially in Agricultural / fertile land.